One of the social treats that’s ahead of us for Congress 2015, is the Congress Dinner in Parliament House. I’m really looking forward to it as the last time I had this opportunity I was too sick to attend. 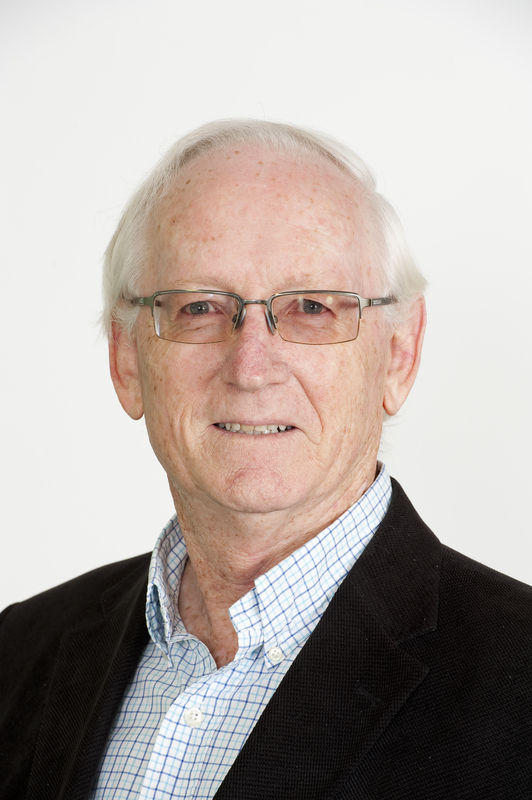 Apart from the fun of being in Parliament House for dinner we have a further treat in store which will be of interest to those with Irish in their families: Dr Jeff Kildea and the Irish Ambassador. I’ll let Jeff tell you a bit more about what will be happening. Can you tell us a little more about what you and the Irish Ambassador have in store for us at the Congress dinner? At the Congress dinner it is proposed to launch the Irish Anzacs database with a short presentation by myself as to what it is and how to access it. What is the purpose of the Irish ANZAC database? The Irish Anzacs Project was set up with funding from the Irish government with the aim of identifying all Irish-born who enlisted in the Australian Imperial Force (AIF) during the First World War, or as close to all as is practicable, and of building a publicly accessible database containing information on each of them. The database provides families with information on their Irish-born family members who served as soldier or a nurse in the Australian forces as well as providing statistical information to assist researchers understand the contribution of the Irish to the Australian war effort. What triggered the development of the database and why focus on the Irish ANZACs? 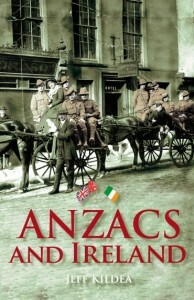 The Irish Anzacs Project grew out of my book Anzacs and Ireland, which was published by UNSW Press in 2007. The book, which looks across the board at relations between Australian soldiers and Ireland, includes a chapter which discusses some statistics based on a small sample and tells the stories of a few of the Irish Anzacs. The project expands on that chapter by identifying all of the Irish Anzacs and providing more extensive and more reliable statistics. How many names do you envisage being included in the database? I estimate that there will be just over 6000 names in the database when the project is finished. The reason for the uncertainty is that not all of the service records are available on line and searchable by place of birth. So far we have identified just over 5740 Irish-born. The last 250 or so will be the hardest to find as they are contained within uncatalogued paper files that number in excess of 76, 000. Are the men and women in the database Irish-born Australians or children of Irish immigrants? The project is confined to those of Irish birth rather than of Irish descent for the pragmatic reason that, because AIF service records include place of birth, the Irish-born are capable of identification. In the case of Australian-born soldiers it is not possible to identify from the records those with Irish parents or grandparents. Are you planning to publish stories arising from the database? While the database itself will contain the bare factual data concerning each of those in the database, one of the proposed spin-offs would be the publication of a book that tells the stories of a number of them. One idea being looked at is a book that includes a soldier from each of the 32 counties of Ireland. What relevance does it have for genealogists? The database will be a useful tool for genealogists tracing their Irish ancestors who served in the Australian forces during the war. The information in the database has been extracted from the service records held by the National Archives of Australia (NAA), and includes the following basic information: name, town and county of birth, date and place of enlistment, declared age, occupation, marital status, next of kin location, previous military service, religion, and the unit to which initially posted. In addition, information has been added from sources maintained by the Australian War Memorial (AWM) such as the Roll of Honour (which records those who were killed or died as a result of their war service), the list of Honours and Decorations and the Australian Red Cross’s files relating to wounded and missing soldiers and to prisoners of war. Over time further information will be added from the Embarkation Roll and other sources. Links from the database to the NAA and AWM websites enable searchers to view the original records of the particular person they are researching. Ultimately the database will provide for each Irish-born soldier and nurse a comprehensive record of service in the AIF. Is there any way in which the genealogy community can assist with information? Most definitely. The database has been built from official records, which provide basic information, some of which is incorrect for one reason or another. In some cases it was the fault of the clerks compiling the records, but in others it was because the soldier gave incorrect information, eg. overstating or understating his age in order to enlist. Also, much of the information has been extracted from handwritten documents, so there are bound to be transcription errors. I would welcome feedback from members of the community who can help to fill out some of the basic information or who can help us identify and correct errors. Will you give us the link for the database? The database can be accessed at the following web address: http://repository.arts.unsw.edu.au. Where can we read more about your research and activities? Thanks for sharing that exciting news with us Jeff. I’m sure the gathered genies will find it of great interest in this centenary year of the ANZAC landing. This entry was posted in Congress 2015, Irish family history by cassmob. Bookmark the permalink.